James Garner was an American actor and producer. He had English, some German, and remote Welsh, Irish, and Swiss-German, ancestry. James was the son of Mildred Scott (Meek) and Weldon Warren Baumgarner. He was the brother of actor Jack Garner. He was married to Lois (Fleischman) Clarke, with whom he had two children. James often stated that he had some degree of Cherokee Native American ancestry on his mother’s side. 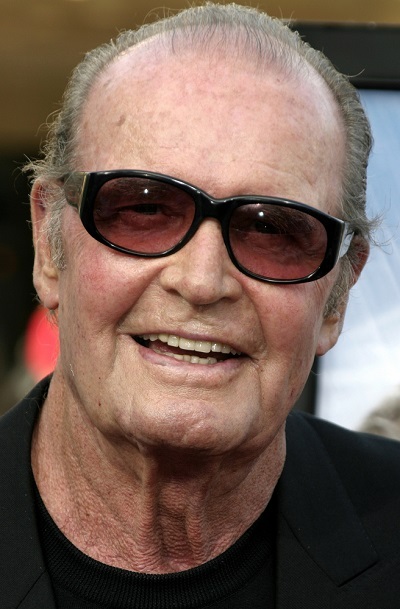 No Native American ancestry appears in family trees of James Garner. In their 2014 obituary of James Garner, The New York Times stated that James’s maternal grandfather, Charles Bailey Meek, was a “full-blooded Cherokee”. This statement is false. James’s maternal grandfather and his own parents, Thomas Jefferson Meek and Delilah Frances Bailey, were listed as “White” on United States Censuses, and James’s grandfather’s ancestry, which is fairly well documented, contains no evident Cherokee antecedents. James’s paternal grandfather was William Wilson Bumgarner (the son of John H. Bumgarner and Catherine Landers). William was born in Arkansas. John was the son of Woodford Bumgarner and Rebecca C. Heffner. Catherine was the daughter of David Robert Landers, who was born in Ireland, and of Mary Jane Howard, who was born in England. James’s paternal grandmother was Louella E. Briggs (the daughter of Levi Leander Briggs and Narcisus/Narcissus Bough/Baugh). Louella was born in Arkansas. Levi was the son of James C./Jefferson Briggs and Rebecca George. James’s maternal grandfather was Charles Bailey “Charley” Meek (the son of Thomas Jefferson Meek and Delilah/Delila Frances “Fannie” Bailey). Charles was born in Arkansas. Thomas was the son of Franklin M. Meek and Martha Ann Harwell/Hartwell. Delilah was the daughter of Cincinnatus Ney Brooks and Mary Jane Bailey. James’s maternal grandmother was Abbie Lillian Womack (the daughter of John David Womack and Minnie Glorietta/Gorietta Neher). Abbie was born in Texas. John was the son of John Crossley/Crosley Womack and Sarah Jane Williamson. Minnie was the daughter of John George Neher, who was German, from Württemberg, and of Mary Mazie Riggs. The New York Times has just printed that James’s maternal grandfather was a “full-blooded Cherokee”. Time to put it into my DVD player once again. Some of his mother’s family were born on Cherokee territory (like a lot of non-Cherokee people were at the time), but there are no documented Cherokee ancestors I can find. But he wasn’t James’s ancestor. Yes. It looked like one of those fake Native Americans from western movies, I doubt he was a “full blooded” one.